In 2016 DeMarco Murray experienced a revival in the Tennessee offense. He posted 1,287 yards and 9 touchdowns on 293 carries. He also caught 53 passes for 377 yards and 3 touchdowns. Murray finished as the RB5 in both Standard and PPR leagues with these numbers. The graph below shows Murray’s consistent fantasy football ADP over the past month. Data is from 12-team standard mock drafts. 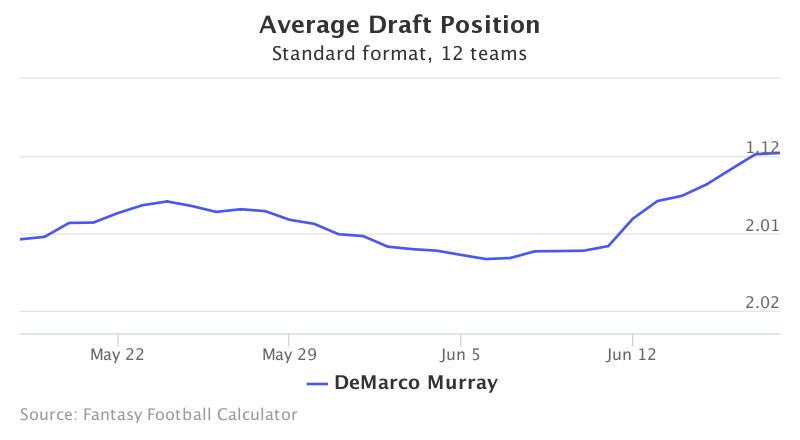 Murray’s ADP has remained constant over the past month due to his role in Tennessee’s strong run game. Murray arguably plays behind the best offensive line in football. 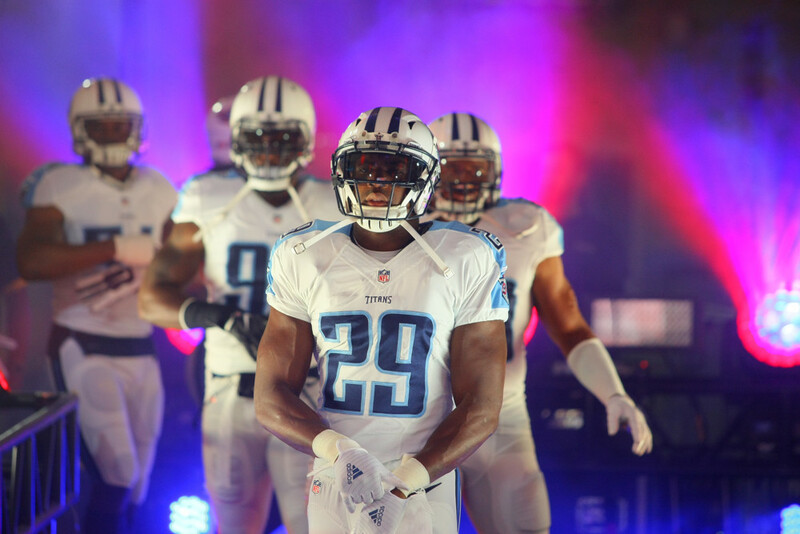 However, entering his age 29 season, look for the Titans to somewhat reduce his workload going forward. Playing alongside capable second year back Derrick Henry, the Titans offense is capable of sustaining two productive running backs. Last season Murray saw his efficiency decrease in the final 8 games of the year. After he tore his plantar plate in week 8 he was not the same runner. All of Murray’s 100-yard games came before Week 11. Also, in the final 4 weeks of the year he averaged 3.8 yards per carry and didn’t have any of his 64 carries go beyond 15 yards. Having carried the ball 1,032 times over the past three seasons, look for the Titans to use Murray a bit less going forward. While his volume may decrease on the ground, Murray is still likely to see a majority of work in the pass game. He has showed superior pass catching ability to Derek Henry, making him the preferred back on 3rd downs. In 2016 Murray out targeted Henry 67 to 15. His 53 catches for 377 yards and 3 touchdowns last year can be counted on again this year. Despite the potential for fewer rushing carries, his talent as a receiver helps maintain a high floor for his fantasy value. Going at 2.01, Murray offers a safe pick at RB. Players going just behind him include Jordan Howard, Jay Ajayi, Michael Thomas, and Todd Gurley. All four of the options arguably offer more upside than Murray. However, his role as a passing threat and the luxury of running behind one of the best offensive lines in football make him a safe pick going at the turn of the first and second round.